← Blogging – A public Diary? It seems quite tragic that society is incapable of empathy or understanding without being shocked and shamed into having some. 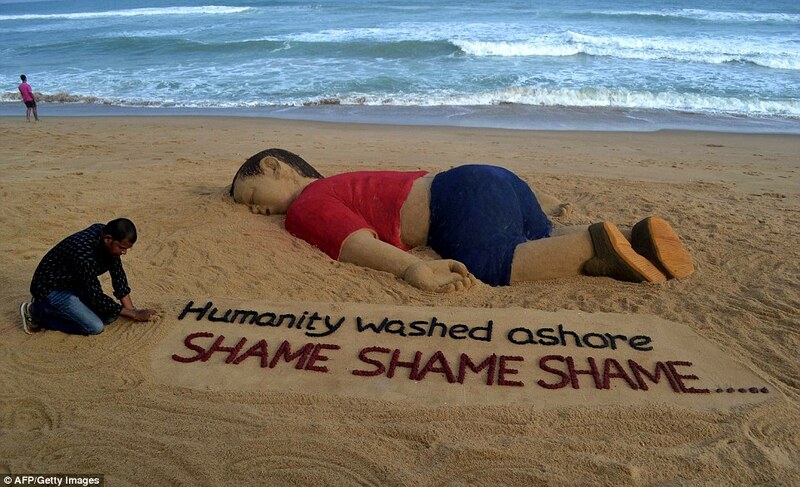 The death of three-year-old Aylan Kurdi was a dark and tragic event. And a completely avoidable one if Europe took the same attitude towards Syrian refugees that the US government took towards European refugees in the years following WWII. But Europe doesn’t – or more correctly – didn’t until there was a young boy’s face buried, cold and bloated, in the sands of the Mediterranean. He now joins the 2,500 other estimated dead refugees martyred before Europe has finally decided to value humanity over petty boarder controls. Besides, this would be somewhat less ridiculous were it not for the Internet and the media spending the summer publicizing the death of one lion! I do not mean to undervalue the cause. It’s clear that the senseless killing of animals for sport is barbaric. That said 2,500 people including many children were dying during that period of outrage about Cecil. Is this what the world is becoming? A place where governments are subject to the plastic-protests of an online community that jumps through causes as fast as a grotesque image can be snapped, uploaded and viralized? I was travelling through Budapest a few weeks ago and saw the train stations filled with homeless refugees – many of whom were families – who everyone was content to leave rot there on soiled floors as people looked through them. It was hauntingly similar to what I saw in a train station in Brussels (The EU’s Capital) years before. But things are changing for the better – or so it seems. We are opening fortress Europe to what Cameron, Britain’s PM, called ‘Swarms’ – merely weeks before – of migrants. This is a great advancement and one that I applaud greatly. However, I fear that Aylan’s status as the poster-child of European ignorance and apathy will soon be lost when a cuddly cat or new epic fails video catches the interest of the online masses and politicians again cease the opportunity to turn a blind eye to tragedy.